Number 8: The persons born on any of the dates 8, 17, 26 are holding Radix Number 8 because the sum of the digits is Number 8. The representative planet of this radix is Saturn. According to astrology, this planet is the planet of trust. This planet is the planet of control too. It remains with all the zodiac signs for two and half years and surrounds all the planets in thirty years. The life of the persons holding Number 8 is under the control of Saturn. This planet is the owner of heart. This is involved in so much complexity that it is too difficult for the geologists to understand its movements. Similarly the life of the persons holding this radix Number 8 is full of upheaval. No one can predict easily that what next is going to happen to them. Whatever the incident happened in his life, it happens sudden and unexpected. He has lived among upheaval and obstacles but he does not outcry, he keeps silence and peace. Therefore no one can estimate or guess, what he is thinking. Therefore it is said that due to his introvert character, understanding him is a difficult task. The man holding radix Number 8 are introverts in character. He does his work without any fanfare. But his works are not liquid, those are on solid base. When it comes to the limelight people get surprised. By nature, the man holding radix Number 8 is serious type. Neither he has childishness in his face nor his personality shows that. Whatever he says, those are evident and on the basis of experiences. People know that once he said something, is based on truth and trustworthy. This character sometimes causes loss also because he keeps aloof himself from the society he becomes lonely. It is the effect of planet Saturn that he cannot change himself. In astrology, Saturn is called “Element of air Planet” and for this reason it has tremendous influence on the person holding radix Number 8. When the air blow slowly, it gives happiness and bring pleasure but when it becomes a Storm like hurricane it becomes ghastly and tries to destroy whatever comes before it. Similarly, you have the character to help others but when you get angry, you try to destroy him. He takes the things in such a manner and on personality matter and sit only when he takes his revenge(Number 8). Therefore hardly anyone can face his dire shape though very few times he takes in that way. To this person there is no middle condition. If he gains he gains too high but when the sight of Saturn becomes ominous, he seeks loss, he will be seeking loss. The loss will be unable to handle by others but he can and take control of everything within a very few time. This man is calm and quiet and fond of loneliness. A long time spending in gossiping or wasting time is not liked by him. He keeps away himself from advertisement and broadcasting(Number 8). One can title him as a silent thinker and that will not be a hyperbole. Though he looks a rough and tough but by heart he is soft. His heart is soft like flowers which is eager to be loved by a person who can feel his heart but not everyone. For the friends, he is a good friend, but for enemies he is a bad enemy too. He can do work for his friends even which is not to be done by him and sometimes he takes a big risk for them. But thereafter if anyone tries to be fool him, he becomes so furious against him that no one can guess that how he becomes so furious. For the enemies he is like a death and always tries to make that person spoil. His mind plans to destroy him always(Number 8). He does not like the inferior work. He will not be satisfied by small and low level work. He will always try to get the highest rank with full respect. He thinks that if there is a business it should be a big business not a smaller one. He will not be able to put consistency in a small work. The person of this radix Number 8 is powerful and alert, he does not break down on the fluctuations of life. Any other in the fluctuations would have finished instantly. This man is flexible and can tolerate any kind of shock. He has more sense of feelings. He can describe a life more easier than anybody. He is the helping minded man. He provides his services to the sad, worried and sick persons selflessly. He neither broadcast his services nor he likes to let others know. He does not hate to being employee Number 8. If he finds that service can put him in a better condition, he will not hesitate to accept. But he wants to be assured that his services are well paid. For the sake money the person influenced by Saturn can undertake any job. He knows the use of money very well which is not found among others. It is true that the life needs money and in the present era saving is a good habit. And for the deposits and savings if hard work is to be done, then it has to be done. 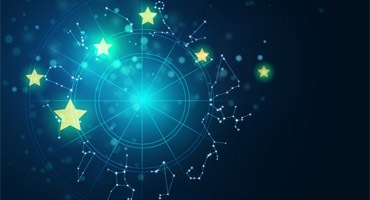 Only astrology has the knowledge of the pathway to hard work and in which direction and under this guidance one can know that his achievements will by private services or government services(Number 8). Moreover in the private farm which are the lines of actions to be taken. If it is an iron industry, whether it is suitable to him or not. Basically this person should adopt the path shown by the astrologer. This man should give black materials in bounty and do the business of the black color materials like black sesame, iron etc. Saturn has the control on sesame and iron. It is a cruel planet. If not in favor it can destroy but if it is in favor, the man can be a millionaire. The person holding radix Number 8 has a lot of chances to get the sudden wealth. Saturn is the master of fortune and hence can bring fortune any time. It is the nature of Saturn that he makes a man rich within a moment and can make poor a man any moment. He is though not advised to invest in gambling but he can buy lottery tickets regularly. While purchasing lottery tickets, he must ensure that the sum of the digits of the lottery ticket should be 8. He also should note that he should purchase those tickets which are opened on the dates 8, 17 and 26th date. If the attention is given on the above matter, things may come in his way. This man is rigid in his resolutions(Number 8). When they work, they forget about other things in life. He becomes confined on the work and only after completion, he takes rest. He is hardly interested in religious work. He feels the hermits are hypocritical. He does not have quiddity in life. He does not get any time for luxury. The work he undertakes, he runs after that and till the work is complete he does not go for rest. So many times he is infested by desolation but he overcome form that situation by his efforts. Any work if he does not fulfill according to his wish, he feels otherwise. He becomes very alert and assures that he must not be indulged in wrong doings. This person gives much importance to money(Number 8). Luxury and women related fancy is his weakness. If he is an unsuccessful man, the reasons would be only those. But this person can reach to the apex of the rank by his own efforts. The seniors leave their responsibilities on him and become worriless as they know that this person can handle every situation and get the things successful. He might have experienced that he was seeking loss by chasing the completion of work. Due to inattentiveness this man faces problems also and sometimes spend money from his own pocket which lands him in a financial problem. This man of radix Number 8 should work after a giving thought and saving himself. The person holding radix Number 8 will get very less time for entertainment in his life because his life is dynamic and changeable. This will either put him on the top of the success or sometimes to the inferno. Therefore the time of this fellow will be spent in adjustments only and he may not find any leisure time for entertainment. This may not affect him because he takes his work as entertainment. So in the busy schedules even, he will have entertainment and make his time favorable. Sometimes there a time comes when he feels scared. He thinks that he should not be involved in any fight or any misunderstanding crops up with someone which may worry him round the time(Number 8). To avoid this stage, he should remain alert and carful so that such situations will not arise at all. This man is a person of materialistic elements, who takes his work as god. He does not believe in god and having no feeling on idol worship. He cannot perform worship in general but when he is in trauma he will be a regular temple visitor. He turns into a theist. But when his trauma is over, he will be again turn to be a non believer. His main hobby is to earn money. Whatever he tries, or put his efforts, those are all for earning money. The energy he puts to earn money, the same will apply in saving. He is never an extravagant. They have very less expense power which is one of his weakness too. The planet Saturn is originally a contretemps. Even a little inclination towards the debauchery(Number 8). He can be addicted with luxury, idleness etc. This radix is controlled by Saturn, therefore the persons color will be little whitish. Arrogances in his nature is found and a harsh talk will be in his practice. He should be thankful to Saturn because he made him clever and experienced in a small age and a special inbuilt power is given to recognize a man.